"A rare blend of a well–organized, comprehensive guide to portfolio management and a deep, cutting–edge treatment of the key topics by distinguished authors who have all practiced what they preach. The subtitle, A Dynamic Process, points to the fresh, modern ideas that sparkle throughout this new edition. Just reading Peter Bernstein′s thoughtful Foreword can move you forward in your thinking about this critical subject." "Managing Investment Portfolios remains the definitive volume in explaining investment management as a process, providing organization and structure to a complex, multipart set of concepts and procedures. 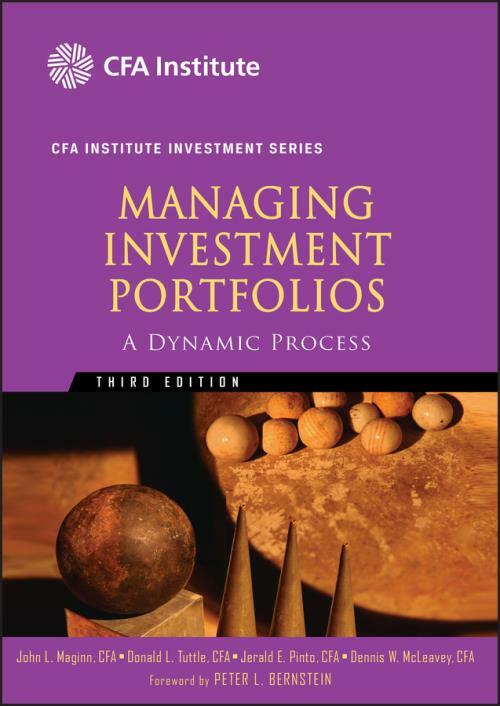 Anyone involved in the management of portfolios will benefit from a careful reading of this new edition."